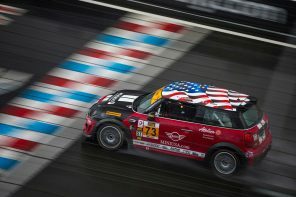 Official MINI Press Release: The MINI brand is continuing its overwhelming story of success – now taking a new approach with the MINI Crossover Concept. 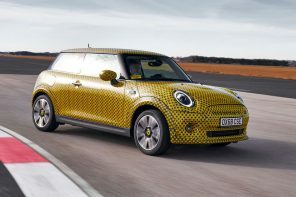 This Design Study offers a fascinating outlook at a new facet of the brand powerfully expressed by a truly innovative body concept – the fourth body variant, to be precise, following the classic two-door, the MINI Convertible, and the MINI Clubman. 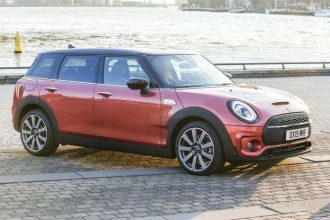 The MINI Crossover Concept is a new model variant for the first time measuring more than four metres in length, with four drive wheels, four doors and four single seats. 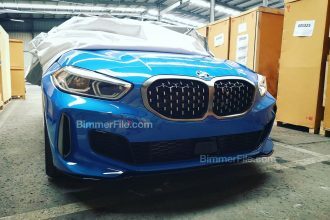 These features alone place the new car right in the line of vision of new target groups seeking to combine the individual style of the brand with enhanced versatility within the interior and innovative functionality throughout. A universal, multifunction fastening rail, the MINI Center Rail, extending between the seats on the centre console of the MINI Crossover Concept, offers not only offers unconventional storage options, but also provides a consistent link between the front row of seats and the rear. A further highlight within the MINI interior is the innovative central instrument in three-dimensional finish, the MINI Centre Globe. 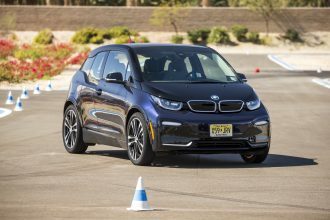 This combined control and display unit formed as a globe featured for the first time in an automobile worldwide sets new standards for the integrated control of entertainment, communication, navigation, and vehicle functions. 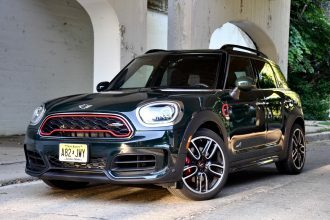 The MINI Crossover reflects not only the potential of the MINI model family in growing further and further to new dimensions, but also the innovative power of MINI’s designers. In this case, the outlook at an additional MINI concept is enriched by a wide range of visions expressing a unique driving experience and way of life only a MINI is able to evoke. All innovations presented in the MINI Crossover Concept are conceived to expand that characteristic MINI feeling by yet another new dimension. 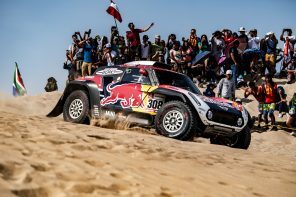 The innovative character of the new car comprises its body design as well as the drivetrain, the interior and the control concept. 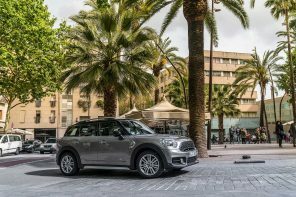 Indeed, offering options and versatility of this kind, the MINI Crossover Concept opens up new dimensions in mobility also beyond urban life. 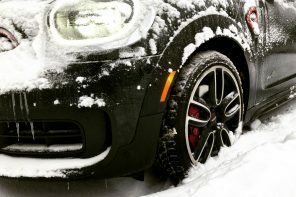 All-wheel drive – the foundation for a new MINI feeling. 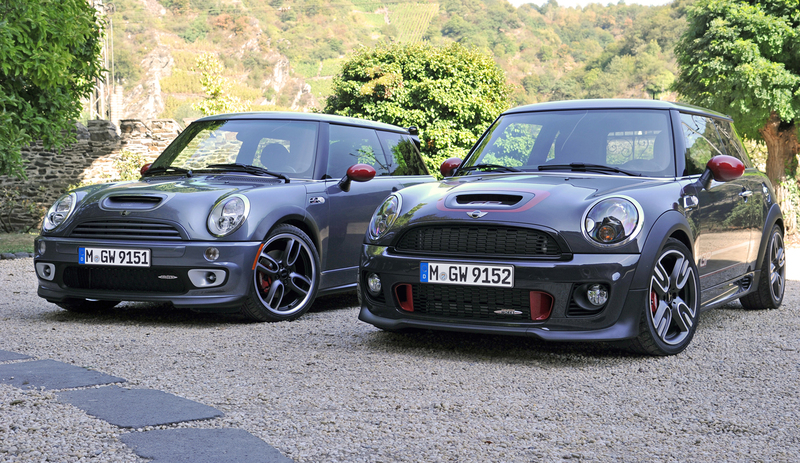 A new MINI offers more – and does so in unique style every time. 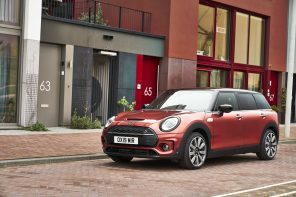 The MINI Crossover Concept clearly expresses this principle, its all-wheel drive serving to give the new model an even wider range of practical use in new areas and a new experience on routes already driven. 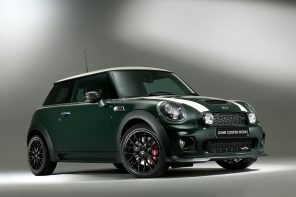 But in doing so the MINI Crossover Concept is not limited to the usual status of a conventional all-wheeler. Rather, to offer its additional mobility potential even more consistently, the Concept Car comes with numerous design features making it an all-round talent for a unique experience in everyday life, for enjoying leisure time to the utmost, for adventure travels of all kinds and for travel planning. Hence, the MINI Crossover Concept looks at new objectives and, at the same time, new target groups. Four metres in length – more calibre, more options. 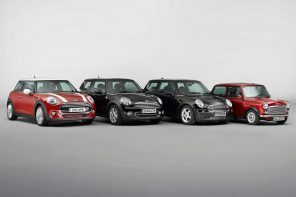 As a consistent enhancement of the MINI model family, the MINI Crossover Concept offers new calibre and new format in every respect. 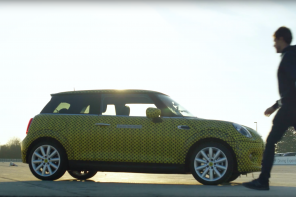 This is the first MINI to measure more than four metres in length. 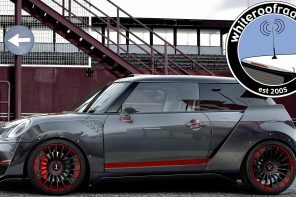 And measuring 1,830 millimetres/72.0″ in width as well as 1,598 millimetres/62.9″ in height, the MINI Crossover Concept goes beyond the existing production models from MINI also in this respect. Wheelbase, finally, is 2,606 millimetres/102.6″, again ensuring an even more powerful stance on the road. These exterior dimensions of the Concept Car are a clear symbol of the quest for additional options in driving the car and in the new, enhanced driving experience. 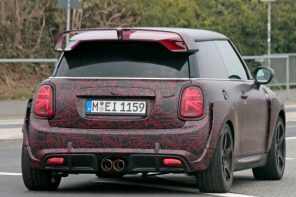 The MINI Crossover Concept offers extra space and mobility at the rear as well as a capacity to transport never seen before in a MINI. Added to all this, there is enhanced flexibility in splitting up the interior space, catering for all individual wishes and demands. 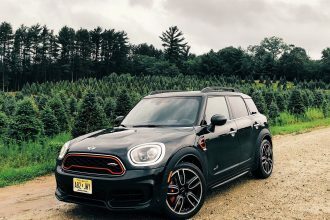 Combining its unique design with outstanding agility by no means restricted to the beaten track alone, the MINI Crossover Concept holds a unique position within the MINI segment. 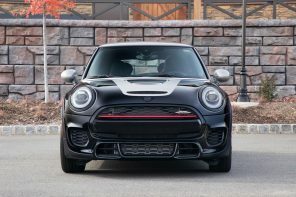 At the same time it clearly stands out as a member of the MINI model family through the appropriate re-interpretation of design elements typical of the brand. 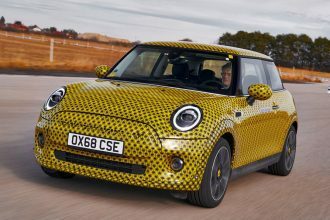 The MINI Crossover Concept thus symbolises the breakthrough into a new category of vehicles, broadening the appeal of the brand to an even larger target group. Four doors – new diversity through asymmetric arrangement. 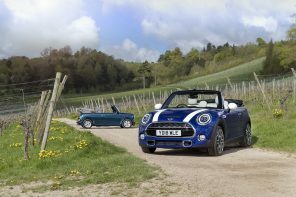 With two doors on each side of the car, the MINI Crossover Concept offers particularly comfortable access to the rear. 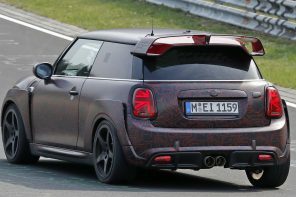 Here again, therefore, the new model enhances the options and qualities offered so far by the existing body concepts of the MINI. 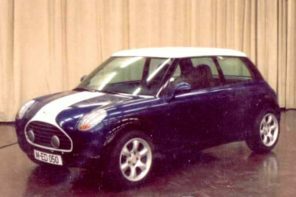 But even this is not all: The MINI Crossover Concept is not a four-door in the classic sense, as is clearly expressed by the asymmetric arrangement of the doors in the Design Study. A conventional arrangement of doors is to be found only on the front passenger’s side, while on the driver’s side the MINI Crossover Concept comes with a conventional door for the first row of seats plus a lift/sliding door moving along the outside for convenient access to the rear and for loading the car from the side. 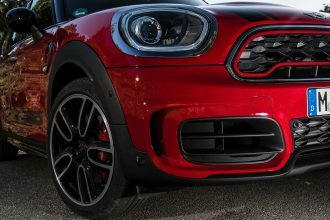 And by dropping the B-pillar on the driver’s side, the MINI Crossover Concept exhausts the potential of this generous opening to an even higher degree. Frameless side windows, finally, are yet another feature of this truly exceptional four-door. The rear door swivelling to one side, together with its frameless and retractable rear window, likewise offers an even higher standard of practical use and most convenient loading conditions. Thanks to the large opening and the low loading sill, sports equipment and other, even bulkier objects can be loaded conveniently into the luggage space offering even larger capacity when required by lowering the individually folding rear seats completely into the floor of the car with the help of a parallelogram kinematic mechanism. Storage capacities may then be increased even further by a transport case fitted outside on the rear door. And last but certainly not least, the roof rail system available on the MINI Crossover Concept is simply ideal for fitting ski, snowboard and bicycle carriers as well as transport boxes of all sizes. 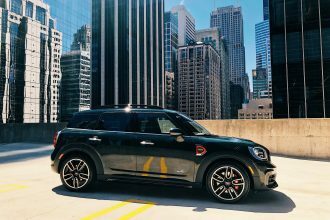 The roof structure of the MINI Crossover Concept offers further options in enhancing everyday driving qualities and leisure-time enjoyment. As a folding roof cover extending throughout the entire length of the roof, the roof structure may be opened both from the front and from the rear, letting either fresh air or warm sunshine into the car – or both, depending on the driver’s and passengers’ wishes. The opening at the rear also serves to accommodate extremely long objects transported in the car, ranging from a surfboard all the way to cross-country skis. So even in this case, transporting anything the driver wishes to take along is easy and convenient. Four single seats – for maximum comfort inside the MINI. 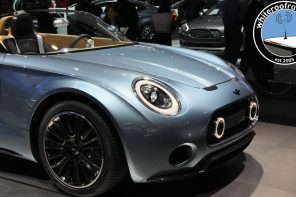 The MINI Crossover Concept stands out not only as an unconventional, but rather as a truly exceptional four-seater. The single seats at the rear, to mention perhaps the most significant highlight, come in the same contours as the driver’s and front passenger’s seats and are adjustable by 13 centimetres or 5.1″ fore-and-aft. 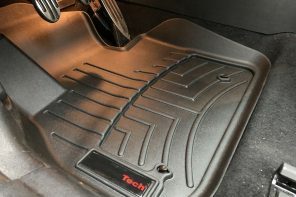 So depending on individual requirements, the rear seats offer either lounge-like legroom or additional storage capacity in the rear compartment. The MINI Center Globe – a new vision of the central instrument of the future. 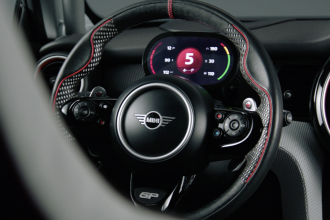 Featuring their round Central Display right in the middle of the dashboard, the current MINIs already boast an interior design feature quite unique and unmistakable in its look. Indeed, this multi-function display serves to conveniently control all major entertainment, telecommunication and navigation functions, providing the speedometer function around its outer circumference. Now the MINI Crossover Concept introduces the consistent enhancement of this display and control concept: the MINI Center Globe. For the first time, therefore, the central display and control unit is designed in this Concept Study as a globe. 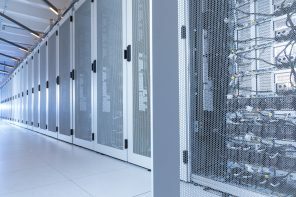 This three-dimensional layout allows even more consistent integration of functions and the appropriate presentation of information and entertainment options. In addition to the vertical and horizontal display features currently available, the new instrument adds a further, three-dimensional element with displays stratified on various levels and highlighted to a greater or lesser degree, depending on the driver’s and front passenger’s requirements. 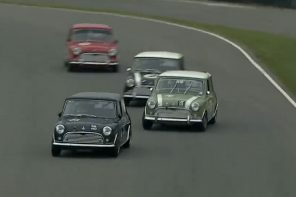 The current speed of the car, finally, is shown as before in typical MINI style on the display round the edge. To clearly, flexibly and legibly present all information at all times, the MINI Center Globe comes with ultra-modern laser projection technology. 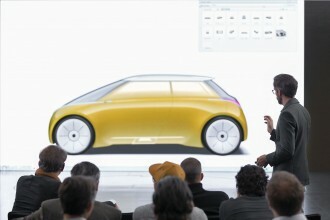 With its unique optical features, the laser projector allows simultaneous presentation of pictures on various levels, with a varying focus and in powerful colours. 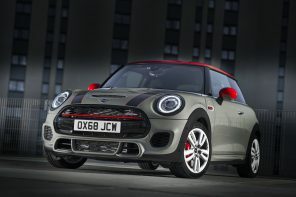 Benefiting from this technology never seen before in an automobile worldwide, the MINI Crossover Concept is also able to optically separate the MINI Centre Globe into two hemispheres. These adjustable, moving hemispheres then enable the driver and front passenger to present and view different pictures recognisable only from their individual perspective. In other words, the front passenger may for example surf the net while the driver maintains his free view of all displays and instruments. To provide this special effect, the hemisphere facing the front passenger closes down from the other side and acts as a projection surface presenting the pictures required. The MINI Centere Globe presented in this Design Study already shows today what options are conceivable in terms of navigation, communication and entertainment in the car of the future, using innovative technologies of this outstanding calibre. The driver and/or front passenger operate the MINI Centre Globe by a touch-sensitive surface, a trackball on the steering wheel, buttons and slide controls in the lower section of the MINI Centre Globe, and a keyboard on the front passenger’s side extending at the touch of a button from the dashboard. Such versatile and flexible use of the MINI Center Globe gives this new control unit the character of an innovative travel companion adjusting at all times to the individual wishes of the driver and front passenger and helping them enjoy mobility in a new dimension wherever they go. 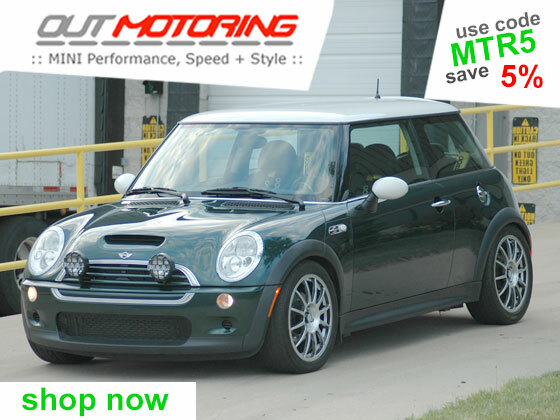 The MINI Centre Globe is additionally linked to the starter system for the engine. Instead of a conventional key, the driver uses a start/stop unit referred to as the Keyball. 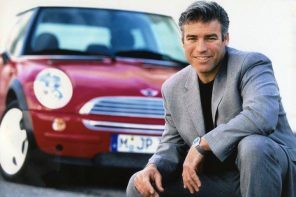 To start the car, all the driver has to do is insert the Keyball on the MINI Crossover into the appropriate opening in the upper edge of the MINI Centre Globe. The Keyball then rolling towards the driver along the middle of the MINI Centre Globe. In this position the driver is able to press the Keyball in order to start the engine. Pressing the Keyball again, in turn, he switches off the engine and the Keyball rolls down into its housing bay from where the driver can conveniently remove the ball. 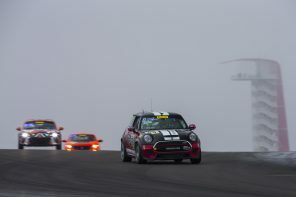 The MINI Centre Rail – a perfect connection bringing the MINI team front and rear together. 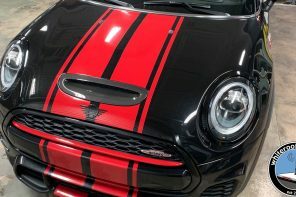 Instead of a conventional centre consol, the MINI Crossover Concept comes with a fastening rail referred to as the MINI Centre Rail and extending from the dashboard all the way to the tailgate of the car. This is indeed the connecting unit between the front and the rear seats. Holders for entertainment and telecommunication devices, cupholders, storage units and boxes may be conveniently attached to this rail and subsequently pushed forward or backward along the entire length of the car. A special fastening system developed specifically for MINI serves to attach individual items to the Centre Rail, for example an external music player and other devices, storage boxes and holders for sunglasses, gloves, tickets for parking, coins, writing utensils or a travel guide, as well as all other kinds of holders and supports. An armrest with an integrated storage box, to mention another example, may be attached both at the front and at the rear. The Centre Rail also facilitates the common use of storage boxes and devices and makes it much easier to pass on food and drinks to the rear-seat passengers while driving. In the MINI Crossover Concept this pleasure of enjoying all the benefits of motoring together is symbolised by a special collection of dishes and cups made of unique porcelain created specifically for the new Concept Car. Four sophisticated materials for a truly exclusive ambience. 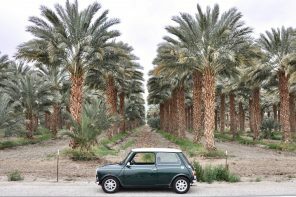 Such use of top-quality porcelain highlights the exclusive lifestyle character borne out in the MINI Crossover Concept also in conjunction with three further, particularly exclusive materials in the interior: Around the instrument panel genuine wood trim extends across the entire width of the car. The armrests on the doors and the inlays in the footwells, in turn, are made of massive lime wood. Inlays made of specially hardened, lagoon-blue glass, in turn, highlight the door linings as well as the surrounds on the air vents. 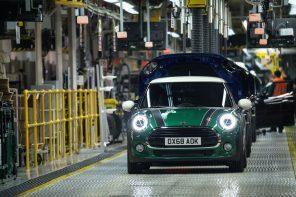 Like the door closing handles on the front passenger’s side, the MINI Centre Rail is made of massive, matt-polished aluminium. Looking at the appropriate colours for the interior, in turn, the designers opted for natural, authentic shades, the Dark Green leather on the driver’s seat standing out clearly from the Coffee Brown leather on the other seats. The remaining cloth surfaces are finished in Light Grey and Light Brown, with a soft rubber cover adorned by wood inlays in the footwells.